Our product range includes a wide range of pleated dust collector filter cartridges, dust collector filter bag, conventional dust collector filter bags, filter bag cages and venturies, pleated dust collector cartridges and pleated cartridges. We are an acclaimed name engaged in manufacturing and supplying a superior quality range of Pleated Dust Collector Filter Cartridge. Our offered dust collector is the first choice for customers to collect nuisance dust efficiently and safely. This dust collector is manufactured using the supreme quality raw material under the supervision of our skilled professionals. Our quality experts test this bag on different quality parameters to ensure its flawless delivery to the clients. 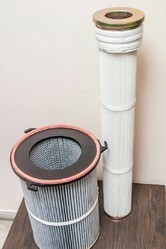 Dust Collector Filter Bags form the heart of a Dust Collector or a Bag House. They arrest the dust particles in the input air and allow the purified air to pass through. They are manufactured using "non woven needlefelt media". Working on the Depth Filtration Technology, this material is characteristic of its low air permeability and high tensile strength. Depending upon the application ( hydrolyisis/acid attack/alkaline attack / temperature) suitable and compatible material has to be chosen. 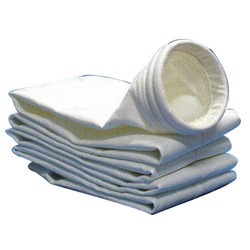 GSE is a leading manufacturer of these filter bags with its in-house stitching unit. 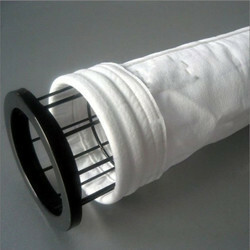 We are the Leading Manufacturer and Supplier of the Conventional Dust Collector Filter Bags. We are capable of making bags of polyester, pp, acrylic, nomex, ryton and glass fibre in all sizes. Conventional filter bags used in Bag houses (Dust Collector Systems) are manufactured as per customer specifications in a wide range of fabrics depending upon the type of dust and other dust parameters. The fabrics are non-woven needle felt fabrics. 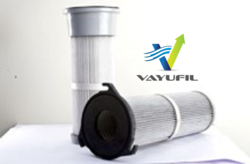 GSE is a leading manufacturer of the entire range of Pleated Dust Collector Filter Cartridges, under its brand name VAYUFIL. These cartridges are manufactured using high efficiency spun bonded polyester media, that is capabale of trapping dust particles of size 0.3 Micron. They are suitable for temperatures upto 130 deg C. Being pleated, they pack a larger filtration area and offer the advantages of (1) Reduction in size of dust collector (2) very high efficieny filtration (3) reduced enegry requirments for pulsing and (4) lower pressure drop. These products are custom made and a wide range of cartridges can be provided having filtration area of 0.5 sq mtrs to 15 sq mtrs. Our clients can avail from us a wide range of 3 Lugs Filter Cartridges. 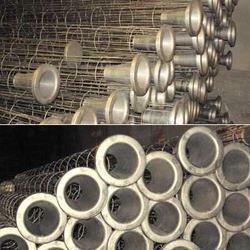 These are manufactured using superior quality raw material under the strict supervision of our quality controllers. 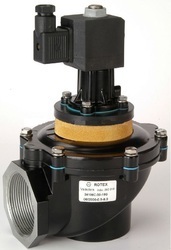 Solenoid Valves are used for the cleaning of filter bags in dust collector systems. 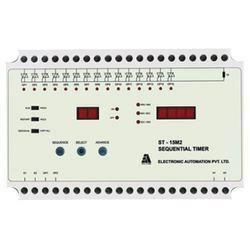 Sequential timers are used to control the pulsing (cleaning) cycle of the pulse-jet solenoid valve in a Bag House system. The capacity / specification of the timers depend on the number of solenoid valves and the desired cleaning cycle chosen for a particular system. The timer indicates that the solenoid valve must inject compressed air into the blow pipe for cleaning the filter bags thus providing for continuous online cleaning system. Customers can easily avail from us a wide range of best quality industrial products and components such as these Filter Bag Cage. 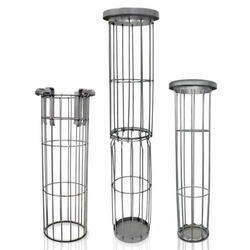 Customers can easily avail this range from us at the most comprehensive prices. We have incorporated the most high quality components in the making of this abstract product that is used in various miscellaneous purposes.